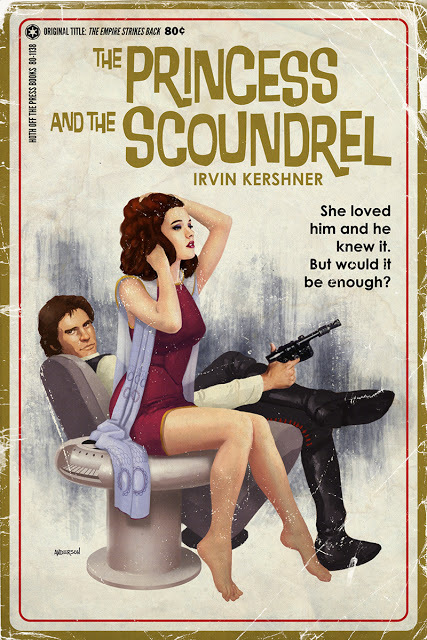 Artist Timothy Anderson has created a cool little set of Star Wars pulp style book cover art. Each book represents one of the films from the original trilogy only the artist gave each of them a fun new title. These were included in the latest Pulp Planet art show called May the Force Be With You.